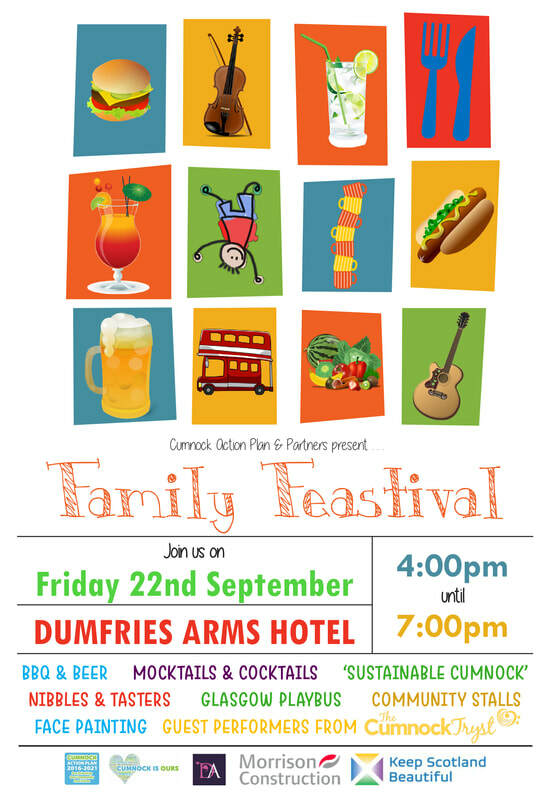 Friday 22nd September at the Dumfries Arms Hotel, Glaisnock Street and other venues. Running from 4pm until 7pm. The focus was on family, food and drink – beer tasting, cocktails for adults and mocktails for kids, mini-bites, arts and crafts, face painting and a visit from the Playbus. There was also live music from local schools. 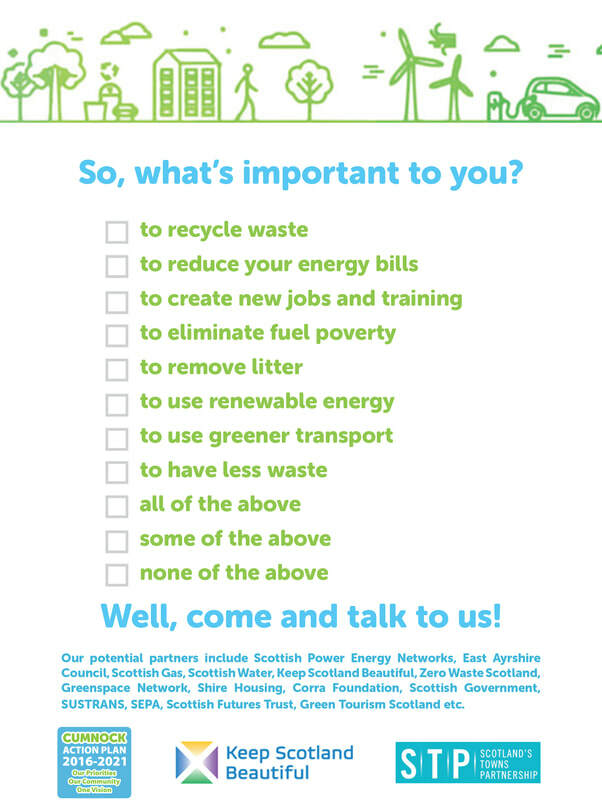 CAMPS and the Cumnock Tryst. 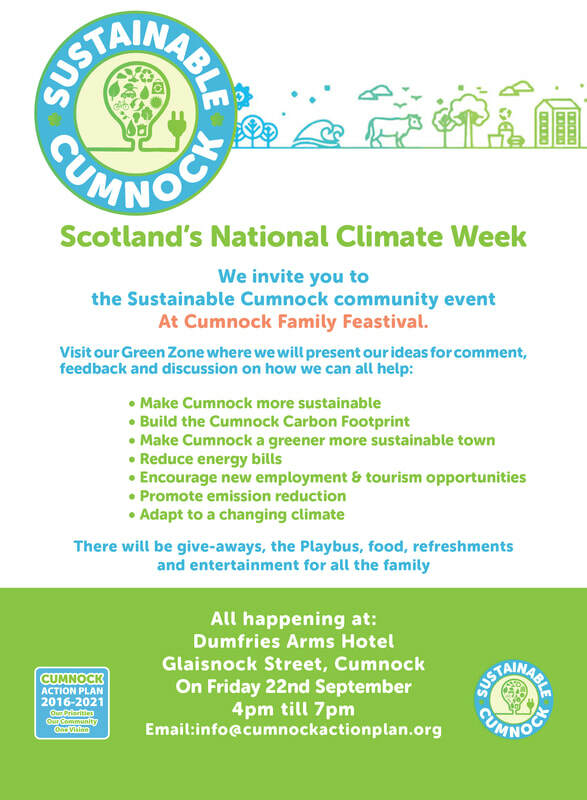 As part of National Climate Week, the Sustainable Cumnock Project had display stands from utilities and energy saving business/organisations showing how you could save money on energy and become more energy efficient. 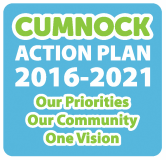 Feastival go-ers had a look at what is being done surrounding Sustainable Cumnock and what it means for you and how you can become involved. 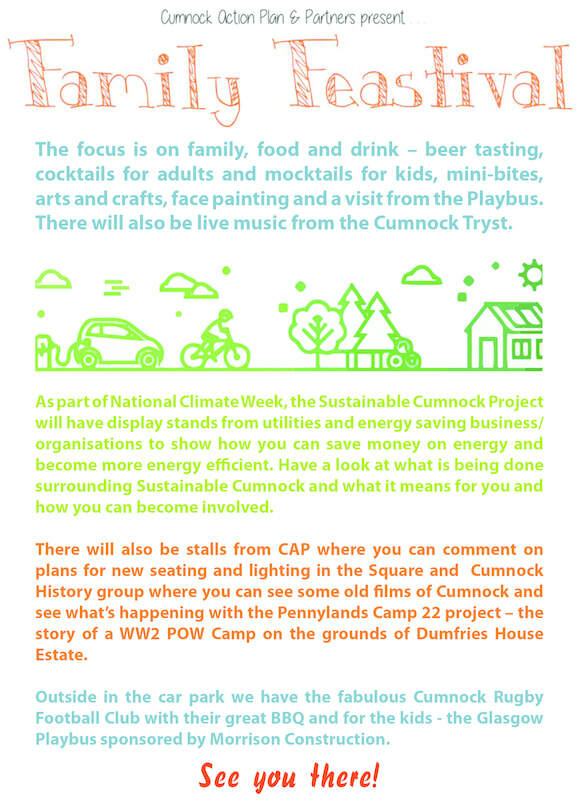 There were stalls from CAP where you commented on plans for new seating and lighting in the Square, Cumnock History Group ran a mini Cumnock Picture House where we screened old films of Cumnock and showed what’s happening with the Pennylands Camp 22 project – the story of a WW2 POW Camp on the grounds of Dumfries House Estate. Outside in the car park we had the Glasgow Playbus sponsored by Morrison Construction.